Ischgl is a popular ski resort located in Austria, the resort offers some of the best slopes in the world that would challenge all types of skiers. The resort has over 148 miles of pistes. Some of the pistes are ideal for intermediate skiers who enjoy miles and miles of ground to cover every day. Ischgl has some of the best pistes and the logistics throughout the area is state of the art. New investments into the resort have resulted in more than 62% of its capacity has been converted into high-speed lifts. among some of its grandiose plans is a new chairlift that will take skiers from Vensil on the west slopes towards the Piz Val Gronda located at 2850 metres. Ischgl is a popular ski resort in Austria, the resort is famous for German skiers and tourists. Recently the popularity of the resort is beginning to attract a large number of visitors from around the world specifically from USA and Britain. The Ischgl has little to offer to beginners. The high altitudes and runs are hard for beginners but there are excellent options for those planning to get into the sport. For beginners, the ideal route is to take the Silvrettabahn gondola from the village center towards Idalp. It is essential for beginners to take lessons before heading on to ski on their own. Despite the large skiing area available at Ischgl, the pistes are generally more suited for intermediate and family skiing. The most challenging network of marked runs is for expert skiers. Ischgl has a large amount of off-piste area so when the snow conditions are good heavy snowfall makes the entire resort skiable. The invisible line that lines the peaks of the Greitspitz and Idjoch is the primary connection between Austria and Switzerland. It is an ideal location for cross border skiing fans. Apart from being a border skiing area between Austria and Switzerland, the town is linked with Samnaun - a small Swiss resort that offers skiing among other attractions. Much of the Ischgl ski area is located at 2000 metres and from the Ischgl village located at 1400 metres skiers can take the gondola to reach the main skiing area. From the village center, Silvrettabahn and from the eastern end the Fimbabahn takes skiers to the Idalp located at an altitude of 7,582ft. The third gondola, the Pardatschgratbahn gondola, is located parallel to the Fimbabahn that goes to Pardatschgrat located at a very high altitude of 8,609ft. Idalp is suitable for intermediate and advanced skiers, the area near the lift station is always crowded with skiers with ski maps navigating their way across the slopes and pistes. The resort is slightly confusing and some runs are difficult. This particular ski area is massive and taking a wrong lift is common in fact taking a wrong run could even get problematic. From Idalp the skiers can go farther by taking the Idjochbahn, which is the world’s first eight-person bubble covered chairlift. The highest station is very close to Switzerland where the skiers can enjoy long cruise runs towards Alp Trida. This is another must try stopover for intermediate skiers. The area is large with a lot of red and blue marked slopes. The main starting points at Ischgl for advanced skiers are Greitspitz, Palinkopf and Paznauer Taya. Together these locations provide a challenging adventure for expert level skiers. The skiers can take a drag lift from the highest station of Idjochbahn towards the highest point Greitspitz located at an altitude of 2872 meters. From this point begins the three black runs. One of the most interesting of the three black routes is the 14a which takes skiers down to Hollenkar valley. To go to the next challenging locations the skiers can take the Hollkarbahn chairlift that links towards Zeblasbahn. This location has the most challenging swooping black descents known as route 20 and 21. These routes are perfect spots for getting spectacular massive stashes of powder. Route 33 begins at Palinkopf beneath the Hollenspitz and heads towards the Paznauer Taya segment where more black runs await skiers on each side of the Hollspitzbahn chairlift. The second location is the Fimba valley where skiers can continue onwards to the middle station of Silvretta gondola for their return trip to Idalp. For many skiers, this is the kickoff point for getting to the best off piste in the resort. The most challenging slopes are located beneath the Palinkopf and the Hollenspitz. These locations are identified as off piste. The map marks these locations as red marks. The best way to visit this particular off piste is to take a guide unless the skiers are totally familiar with the area. The extreme western edge of the area starts at Pakinkopf and leads to Fimbata for another steep descent from Hollenspitz. The black runs located on the eastern side are challenging and perfect for experts. These routes are accessible by Pardatschgratbahn that goes down towards the Velilltal valley. Another route to take is to take the Idalp middle station gondola. These routes are challenging yet they provide the best views of the beautiful Ischgl and Paznaun valley. 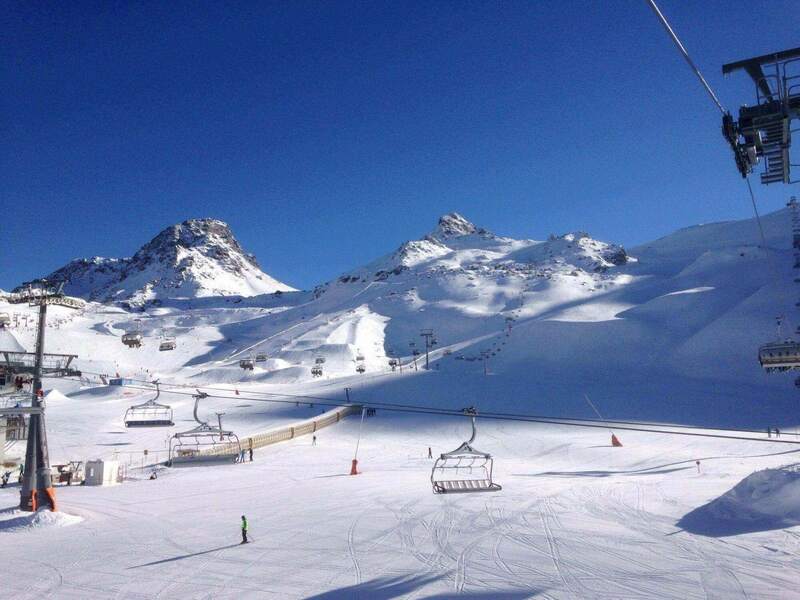 One of the longest snow parks in the Alps is located in Ischgl. The Ischgl Snow Park is located in the center of the Silvretta Arena and is divided into three areas. The park is ideal for sporting events where professionals from all over the world meet. Everyone else can let off steam in the public park and for beginners, there are ramps rails and halfpipes where they can improve their freestyle skiing. At the Idalp is an adventure course located directly at the meeting point of the ski schools. These schools are perfect for children and toddlers to enjoy the snow and take their skiing lessons. Children are taught by experienced instructors on how to ski and how to use the snow-handling equipment such as skies or snowblades. Ischgl is known as the Ibiza of the Alps as the town is famous for pumping up the parties to a higher level. The resort is renowned for its Après ski activities, the town has everything that partygoers need after a long adventurous day at the challenging slopes. Ischgl has beautiful Après huts, happening chic bars, a lot of pubs and nightclubs with live music. Some nightclubs have cult status, it entirely justifies the Ischgl motto: “Relax if you can...” this town is a paradise for grand parties. The Kuhstall is a legendary bar, there is no way a tourist could miss paying a visit to this lively bar. The ambiance and environment are magnetic drawing the crowd inside. The bar is always crowded with never-ending party music. This bar is a must try for skiers, each season skiers after a long day of skiing head to the Trofana Alm for a non-stop party with the most exquisite selection of drinks. Ideal place for dancing the night away with more than competent bartenders who keep refilling your drinks. Pacha is a high-end trendy bar in Ischgl. One of the most visited places in Ischgl, the Pacha is one bar that transforms Ischgl into Ibiza. This bar is expensive compared to other bars and clubs in Ischgl. Stars, models, actors, artists, and famous athletes frequent this bar each season. The staff at Pacha changes the interior of the bar regularly for each season. Frequent visitors expect something new from the bar each season and Pacha never fails to please them. The Bistro Bar Kiwi is for skiers who want a cozy evening, and need a change from partying every night. This bar has a comfortable ambiance where you can sit in front of a warm fire sipping the finest European wine or hot chocolate - the best way to end a great skiing day! The Bistro bar offers snacks and finger food, giving tourists a change from the regular meals and food. The bar opens daily at 3:00 pm and their closing time in winters are 1:00 am. The Show arena at Ischgl resort offers pure entertainment with live bands and international world league acts, GoGo’s and other live performance by different artists playing saxophones, MC’s and violins. The arena is open daily from 9 pm to 4 am. The Schloss lounge is a bar with innovative and unique design, the bar has a mix of modern elements together with a traditional alpine lodge that gives this bar a unique ambiance that is inviting and relaxing. In winters, the bar is open from 3:00 pm onwards whereas the kitchen is open from 3:00 pm to 11:00 pm. The bar is closed in summers and only opens in winter during the ski season. There is nothing more thrilling and beautiful than the beauty of mountains. Ischgl is a popular ski resort, but it has other attractions and activities for everyone to enjoy. Ischgl is a cross-country skier’s paradise. A perfect location for winter sports, the resort captivates the tourists, thanks to the resort’s wide range of other activities. Ischgl is a thriving metropolis that offers something for everyone. Despite being a world-renowned ski resort for intermediate and expert skiers, the resort has many other events that attract large crowds. Below are non-skiing activities for everyone to indulge. Think about having a spectacular ending to a fantastic adventure by a concert in the beautiful Ischgl snow covered mountains. Each year the winter season at Ischgl ends with a “Top of the Mountain Concert.” The show is one of the leading attractions of Ischgl, thousands flock to the resort to be a part of this concert. The next event is scheduled for 30th April 2018. Helene Fischer and other famous singers will grace the stage for this once in a lifetime event. In the past, artists like Rihanna and Elton John have participated in this concert. Ischgl has a spectacular Toboggan run located at an impressive 950 meters altitude, making this route one of the longest in the Alps. The Toboggan route is open from mid-December until the beginning of April. The usual opening time is 7 pm. If the weather is right, the run is open every Monday and Thursday. One ticket allows a single journey on the Silvrettabahn. The resort offers a special package for families that allows free ascent for children up to 16 years if they are accompanied by their parents. Ice skating is a favorite activity in Ischgl. The Ischgl ice skating rink is perfect for enjoying skating in the winter or under the beautiful starry night. Finding the ice-staking rink is easy, the arena is located behind the Silvretta cable car just a minute away from the Ischgl town center. Children, families, and couples can enjoy smooth, easy and simple skating which is an elegant and an enjoyable sport. Curling is a favorite activity for those who are looking for a good time with entertainment. The curling stone is a fun alternative to skiing and snowboarding. The curling stone must be hurled down with accuracy and sensitivity. Ischgl ice-staking rink has four curling lanes as smooth as a glass surface. Another remarkable attraction at Ischgl is a spectacular demo show by The Ischgl Ski School. The show is held at Prennerhang. The daredevils from the ski school demonstrate breathtaking stunts that leave the audience in awe of their talent and skill. The youngest members of the ski school perform tricks on the steep descent on the Prennerhang. There are snowboarders and Telemark skiing experts in the show and addition of a DJ adds to the fun and enjoyment. The show starts at 9 pm when the weather is suitable. This tour offers one the best views for everyone, the ski tours are all about conquering the mountains on foot wearing skis covered in fur. Skiing downhill is one of the most enjoyable treats at the resort. The fantastic high altitude snow-covered landscape is perfect for this tour. It gives tourists a chance to enjoy the beauty of the region without the crowd. Just take a walk wearing skis or ski to the limits to enjoy the harmony of nature. This fun filled activity is for people all ages, a guide will provide safety instructions for enjoying the tour safely. There is no better way to enjoy the beauty of the Ischgl ski resort than by taking a winter hike to enjoy the peace, serenity and natural beauty of this remarkable alpine region. The winter hike is the perfect way to take a break away from the hustle and bustle of the ski resort. Hike to the Paznaun to relax and enjoy the nature, the leisurely hike in the tranquil natural environment in winter is the best treat for all senses. The hiking trails extend to over 37 kilometers, and it runs from a high altitude of 1060 meters up to 2036 meters. The hike has a chance to visit the Swiss Samnaun region on foot without the noise and rush of the ski season. Ischgl Skyfly is for families and for daredevils who want more adrenaline pumping adventure. The Skyfly takes tourists up and glides them down the valley towards Ischgl. Tourists are suspended 500 meters above the ground from a cable car that speeds up to 52 miles per hour covering the mile-long trail. Up to two passengers can fly back down into the valley along with each other - a must try for children and adults. The teams will make sure that everyone is secure and safe for the Skyfly. The white snowy landscape of Ischgl is perfect for exploring the serene mountain peaks. The Snowshoe walk is the ideal way to recover from the rush of the ski season. The walk is ideal for non-skiers to enjoy the resort and its surrounding locations with the picturesque winter countryside. The hike lasts about 1.5 hours, and pre-registration is mandatory at the ski-school office. About 3 people can participate in a single walking trip. Paragliding, a perfect non-skiing activity that guarantees a moment of absolute freedom, is another remarkable attraction in the Ischgl that gathers people of all ages to head to this resort. Make some unforgettable memories by taking a paragliding trip for a bird’s eye view of the beautiful region. The horse-drawn sledge ride in a warm blanket across the Ischgl during the day or early evening is an unforgettable experience for the whole family. Tourists can opt for the hour-long journey without refreshment or the full route with refreshments that takes about 2 hours. There is a short circuit available at a lower price without refreshment.